The Upper East Side encompasses a relatively large area, extending from the East River to Central Park and 59th Street to 96th Street. 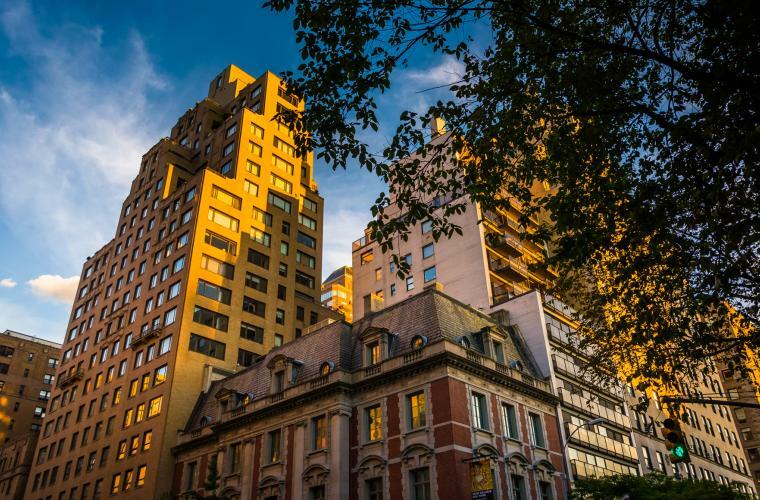 This diverse Manhattan neighborhood features a mix of many types of buildings, from new residential developments and townhouses to brownstones, large prewar co-ops and exclusive mansions. For over a decade, the skilled NYC remodeling contractors at MyHome Design & Remodeling have helped homeowners throughout the Upper East Side and surrounding neighborhoods to renovate and remodel their Manhattan apartments and co-ops with ease. At MyHome, we work hard to make the remodeling process as convenient and stress free as possible for our Manhattan clients. From planning and design to dealing with tough Upper East Side co-op boards and obtaining the necessary permits, our experienced team will work with you to find creative solutions and guide you through the NYC remodeling process. Looking for inspiration or ready to pick out materials? Stop by our 3,500 sq ft kitchen and bath remodeling showroom, conveniently located in Midtown Manhattan. Whether you’re dreaming of opening up your Upper East Side apartment, renovating a dated kitchen, or creating a sleek bathroom oasis, you can trust MyHome’s talented team of designers and skilled, licensed in-house NYC remodeling contractors to turn your dreams into reality.